Help us educate students with learning disabilities or emotional disturbances. Hillsides Education Center is committed to educating each student with the individualized attention necessary to achieve personal success. Instead of teacher-centered lessons, project-based learning is a model for classroom activity emphasizing learning activities that are long-term, interdisciplinary, student-centered, and integrated with real world issues and practices. At Hillsides Education Center, Tony Carson, co-teacher of the vocational program, is doing just that—giving students hands-on projects in three vocational classes that will offer them survival skills to obtain and retain a job. Some HEC students who suffer from severe emotional disturbances may not be college bound, but have the potential to succeed in the real world by learning one of three vocational trades offered at the school. From Adirondack chairs to benches, students in trade science learn to build and construct many projects. In auto technology, students learn the basics of an engine, change the oil, and are building a working model of a V8 engine. Food service prepares students for further education or immediate employment in the hospitality and food service industry. Students at Hillsides Education Center are given opportunities to further their education or explore vocational interests that they wouldn’t have in another academic setting. With the emotional disturbances that some students have, teachers must find different strategies to manage behaviors while teaching academic standards. Carson is certain of one promise he has made to students—“I want each student to fill up their tool belt by giving them every possible tool that will help them be the most successful person they can be. I want to teach them the value of work ethnic, to work well with others, and to provide them with opportunities to build self-esteem through achievement.” Individuals who make a contribution to Hillsides Education Center can be assured that they are also filling students’ tool belts with the support of teachers like Carson at Hillsides Education Center. 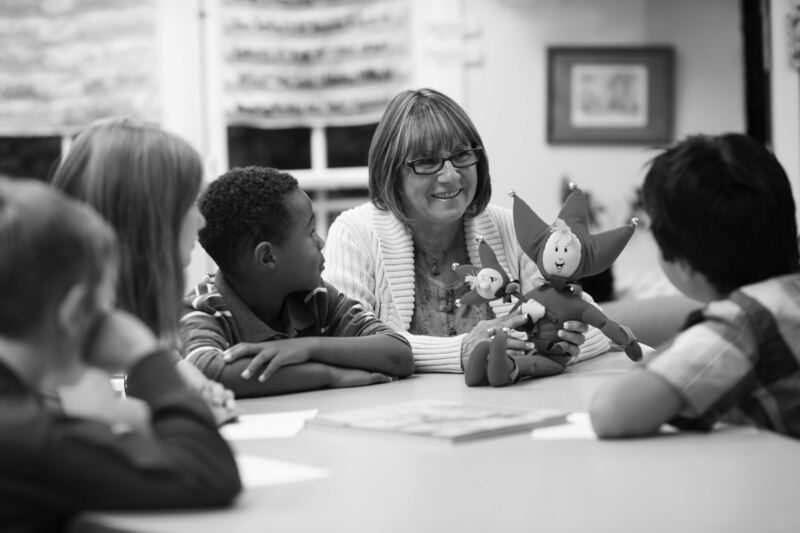 In 1982, Hillsides Education Center (HEC) was established to meet the needs of children who required a special education environment in which to flourish. HEC is a private, non-public school for children with special needs that include emotional disturbance (ED), a learning disability (LD) like attention deficit disorder, or other health impairments (OHI). HEC serves 84 children in grades K – 12 who would normally be attending public schools. HEC also accepts troubled teens who have similar emotional and educational needs and are enrolled in school districts from Los Angeles County, including San Gabriel Valley, Glendale and Pasadena, to name a few. Each classroom accommodates up to 12 students instructed by a credentialed special education teacher and two teaching assistants. Lessons are derived from California State Standards and then individually modified to help students prepare or transition to public school. In addition to obtaining a solid academic background, students have access to psychological counseling for mental illness or emotional needs as well as speech and language therapy, music, art, and other specialized support through HEC or by referral. Hillsides Education Center is committed to reflective teaching, fostering an ethic of caring about each child’s uniqueness through Individualized Education Program (IEP). Teachers at HEC focus on academic content as they relate to the students’ past experiences. Artistic problem solving is also encouraged in an effort to make the student’s educational experience more meaningful. Teachers are continually finding new ways to adapt the curriculum to relate to a student’s background, interests and needs. Serving students enrolled in Los Angeles County and San Gabriel Valley school districts including Glendale and Pasadena, Hillsides Education Center is a specialized day program that provides highly structured, educational and therapeutic programs that include a behavior management component. The school primarily services students with mild to moderate emotional disturbances and learning disabilities, including high functioning Autism and Asperger’s Syndrome. Student success at Hillsides Education Center is measured on an individual basis in several areas including: academic progress; developmental growth; personal commitment and accountability; social functioning; and self-sufficiency (for troubled teens). Our special education teachers test children semi-annually on their academic progress using the standardized Kaufman Test of Educational Achievement. Students are also tested annually using the Woodcock Johnson Achievement Test to determine their individual educational needs, administered by a trained Instructional Aide. Each special education student maintains an Individual Educational Plan which includes information on their education program, school work, attitude, behavior, social interactions, etc. We wanted to share a success story that makes us feel extremely proud of our students’ accomplishments and our staff’s commitment. Each year, the public school system provides the HEC with “service fees” to cover expenses for our students unable to function in a traditional school setting because of their mental and emotional disabilities. In a given year, approximately 12% (or 10 out of 84) of our students remain unfunded while waiting to see if they qualify to stay at HEC or whether they must return to the public school system. During a time of waiting (typically 2-3 months) for qualification to attend the HEC, the school must cover these unfunded students with an estimated budget shortfall of $130/day or $2,600/month. This shortfall, which drains our general budget, ultimately impacts the quality of education and services provided to other HEC students. A vocational training program that provides our students’ with practical work experience and prepares them for post-secondary vocational certification programs. A tuition assistance program for unfunded students whose attendance at the HEC creates a budget shortfall and impacts the education and services for all students. A scholarship fund to help offset the costs of higher education for our college-bound graduates. Hillsides is a safe haven for 66 children who have been removed from their caregivers' homes.